Welcome to our jewelry Gallery. Crafting jewelry on chain lends to an endless combination of possibilities. Remember you can design any to any length you desire. 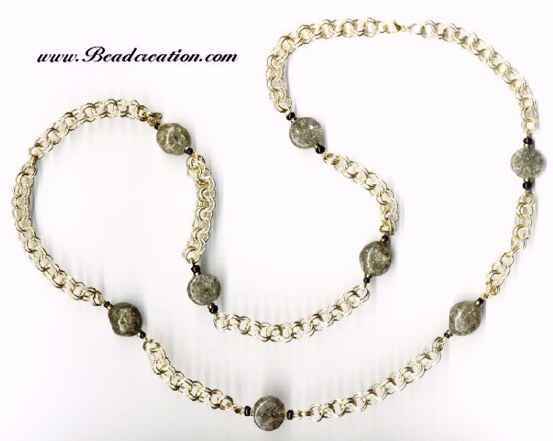 Gold chain beaded with exquisite crackle glass globes and discs in an antiqued gold color. So many light reflective surfaces in these special beads you'll just love them. Looking for the layered look? We have several necklace trios. One that uses this necklace viewable by clicking here.